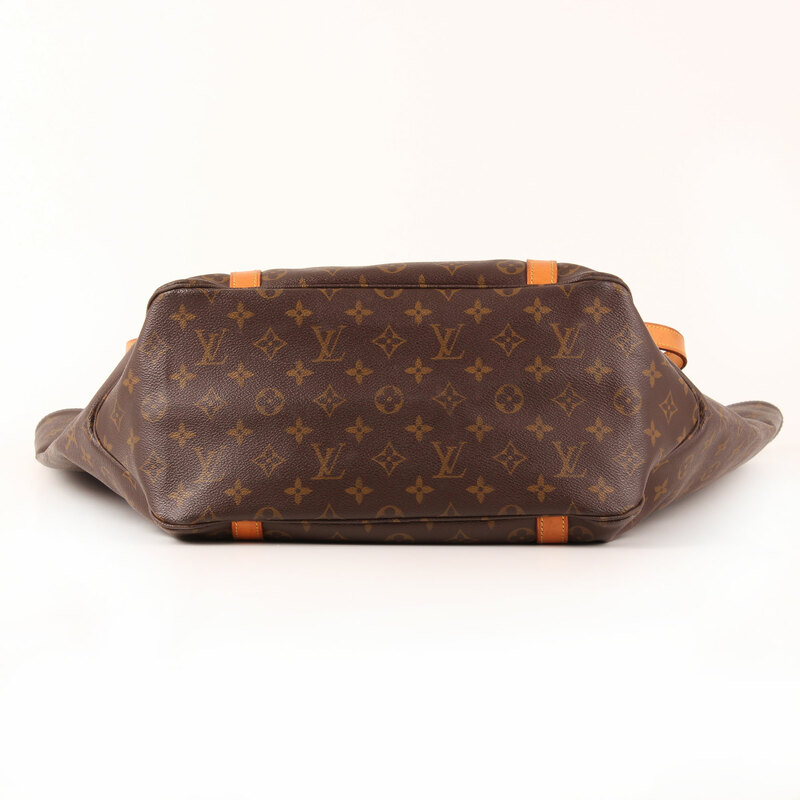 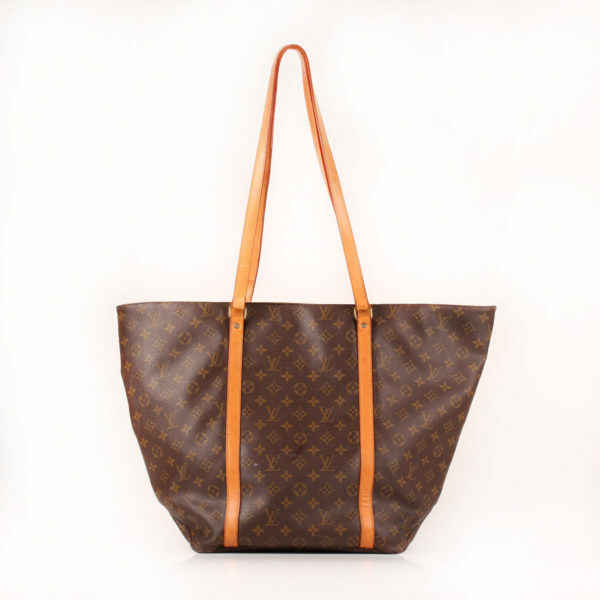 Louis Vuitton Grand Shopping in monogram canvas. A functional tote bag with waterproof lining that keeps Neverfull’s iconic shape in large size. 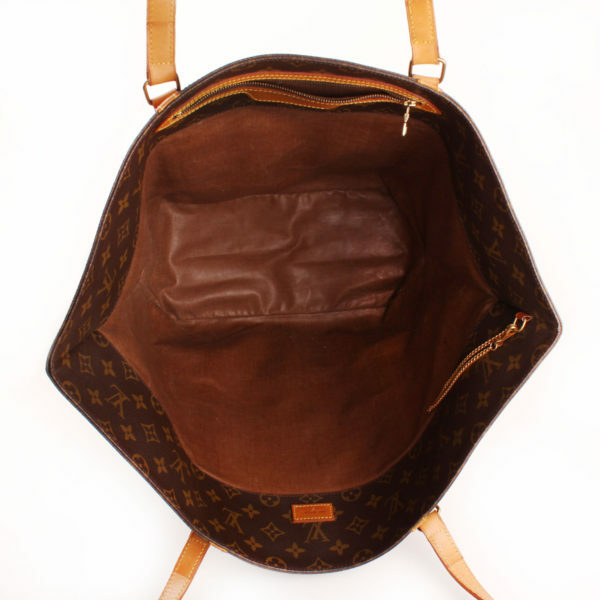 Tote bag Louis Vuitton vintage from 1991. 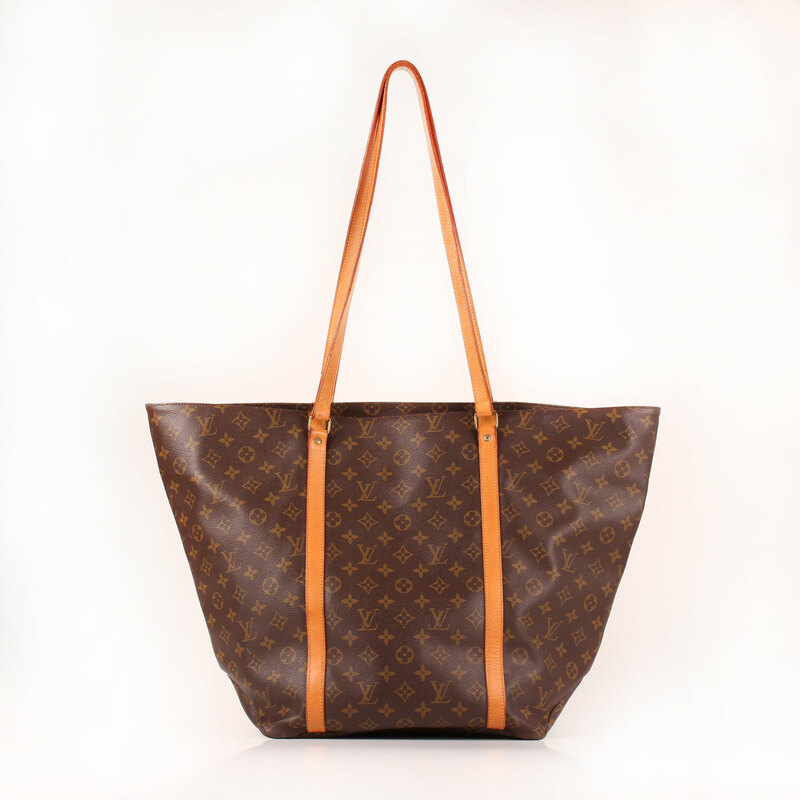 This Grand Shopping model is Neverfull’s big brother. 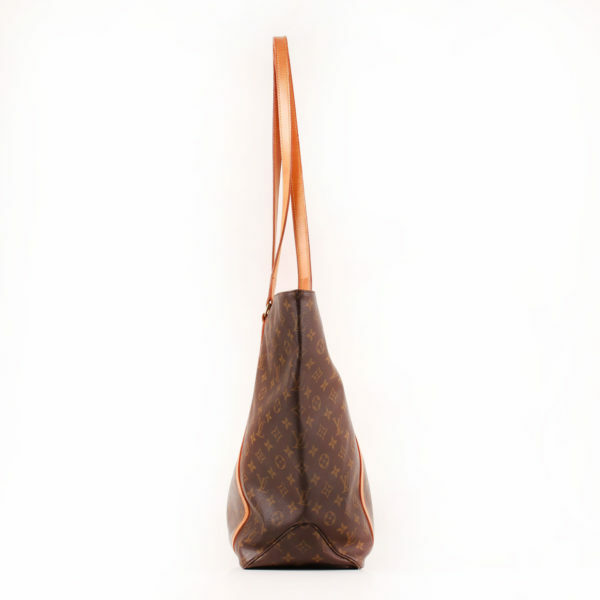 It features two long handles to carry the bag on the shoulder and has a lot of room inside. 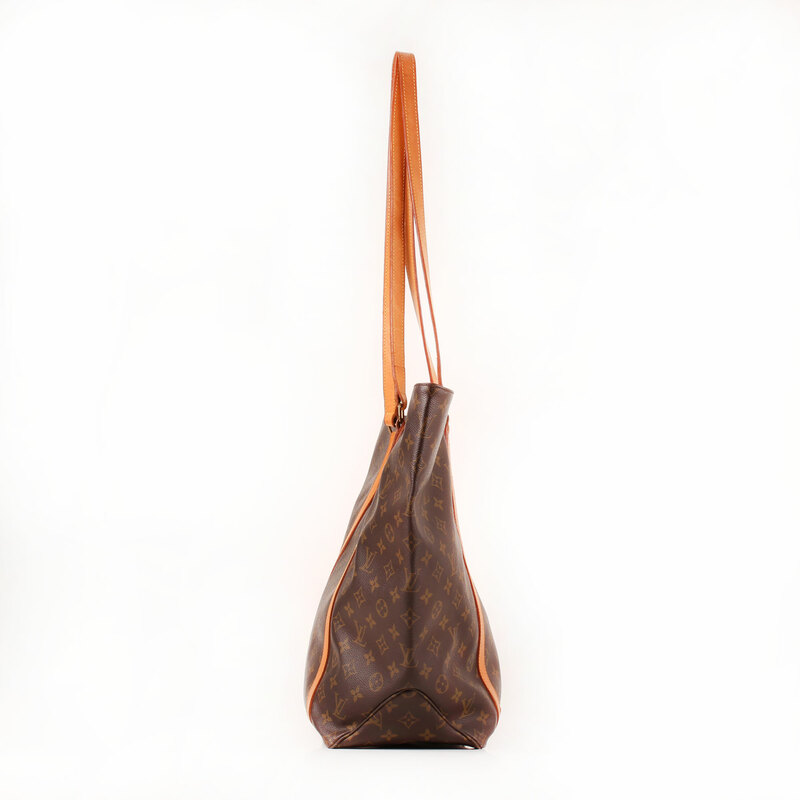 Made of Monogram canvas and leather trim and handles. 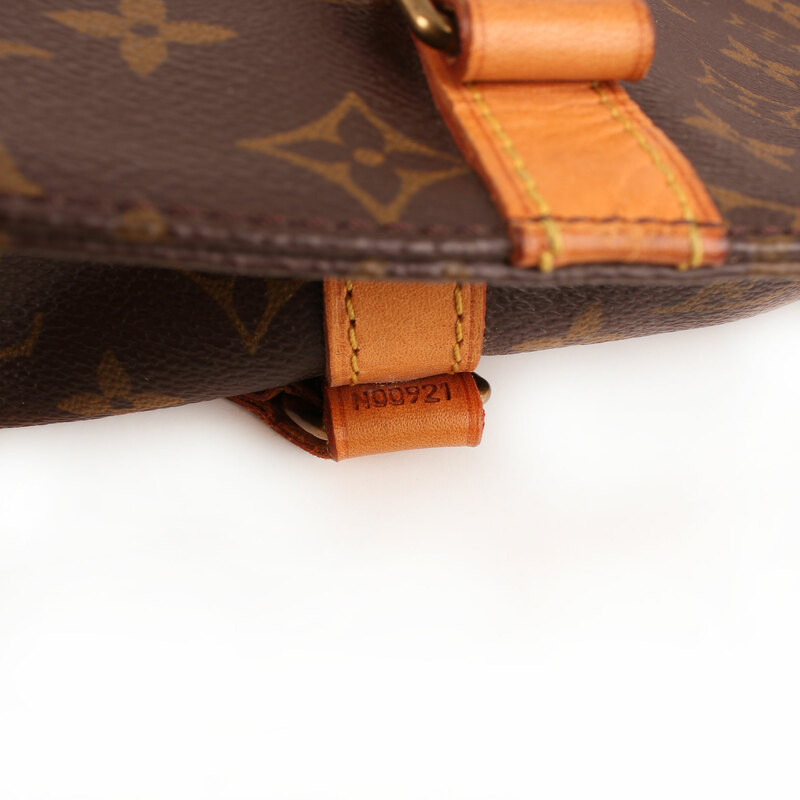 The inside of the bag shows waterproof lining, really useful if used as a shopping bag. 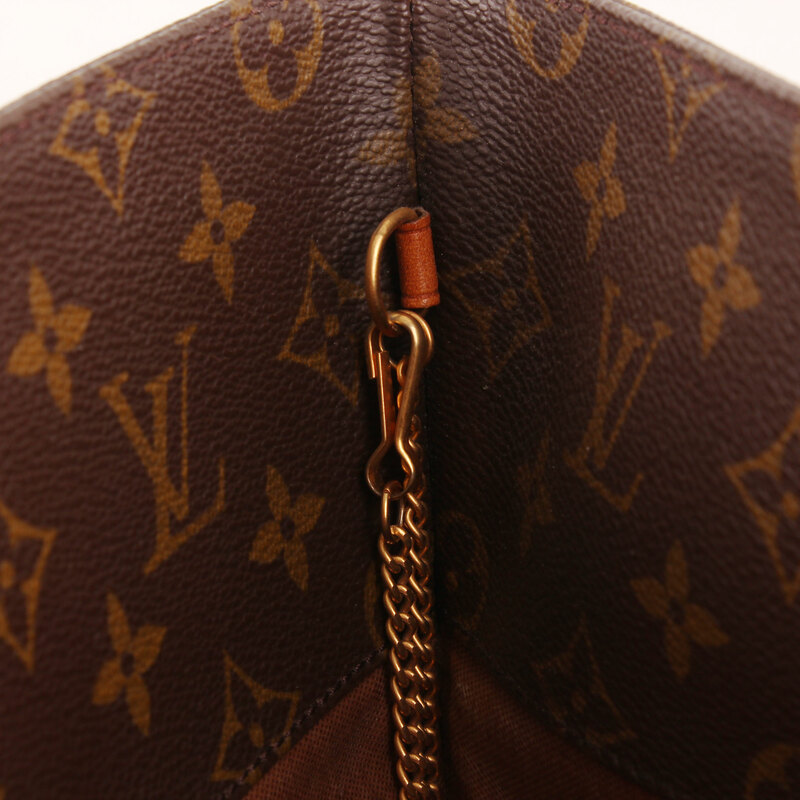 There is an inner deep pocket and a little carabiner inside. 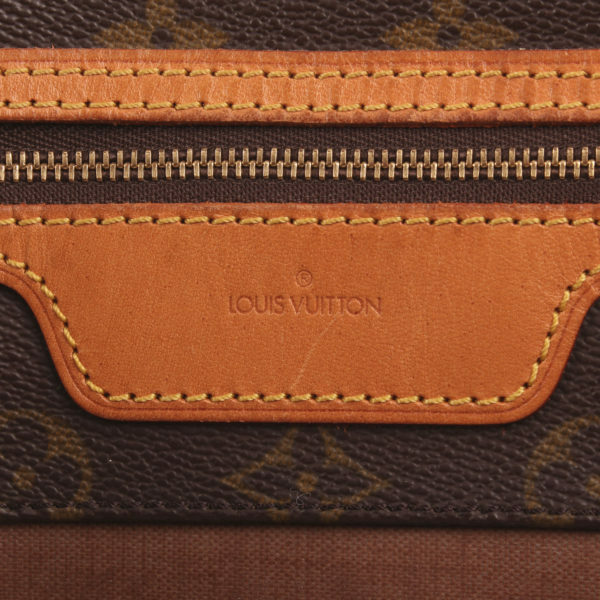 Details: Leather shows patina and signs of use like wear and little spots. 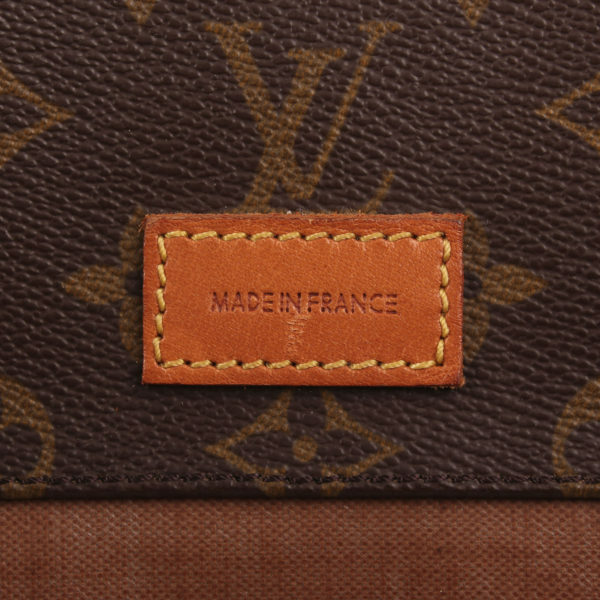 Some white marks in canvas.